Pink Solo. Niktom, I just got my Pink Robes into for my Event in October. So seeing this Pink totally rocks out. 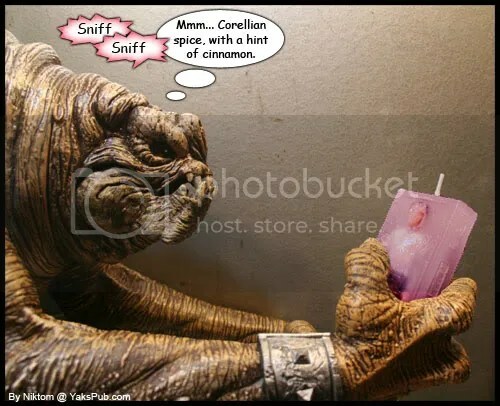 So the rancor does love Corellian spice! Now we just have to get a blue frozen solo for the Christmas special. Actually, I believe it’s a scented candle. haha another solo ice lolly!